American Apparel has finally fired its founder and former CEO, Dov Charney, after numerous sexual harrassment charges were leveled against him. 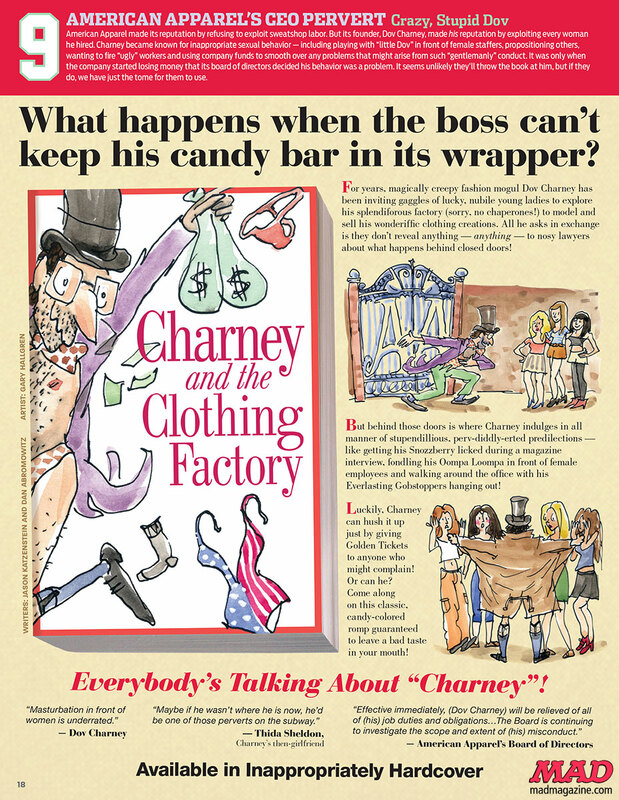 We included Charney in our 20 Dumbest Things of 2014 issue (on sale now!) and today we share that dumbness with you!